It has been a long time since I've created a post about making calendars with Artisan (formerly Storybook Creator). This is the most versatile, fun thing to create with in this software, and it's worth mentioning again. 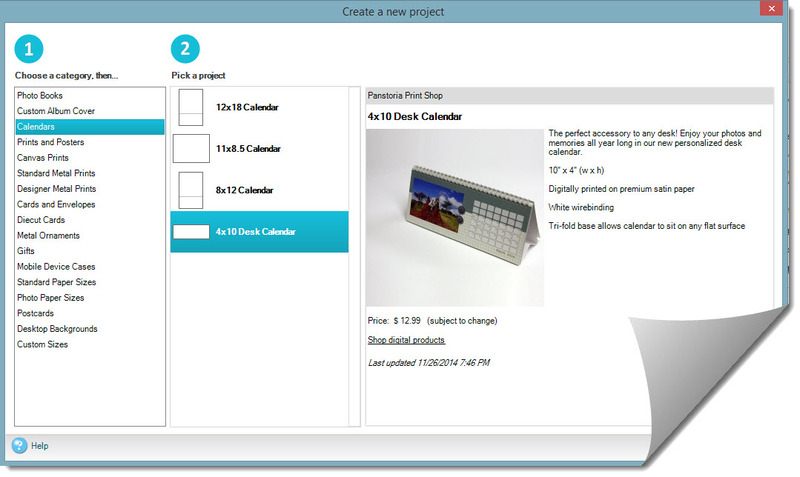 So, since I've shown how to create basic wall calendars in previous posts, this time let's build a desk calendar. You can watch the video on how to make it right here, or scroll below for the write up. 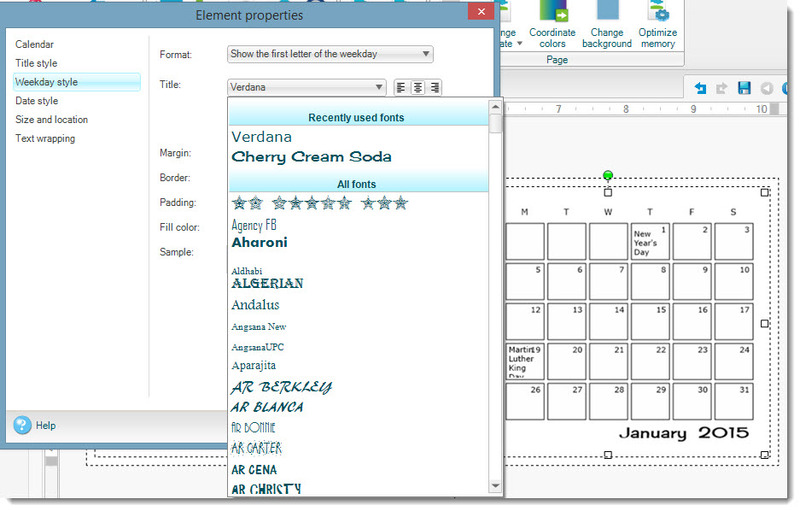 Once you've chosen the calendar and the blank templates, this is what you'll see. The first thing you'll notice is that the calendar block is … well, … boring. Basic. Nothing special. I like to spruce it up a little, since someone will have to look at this all year. 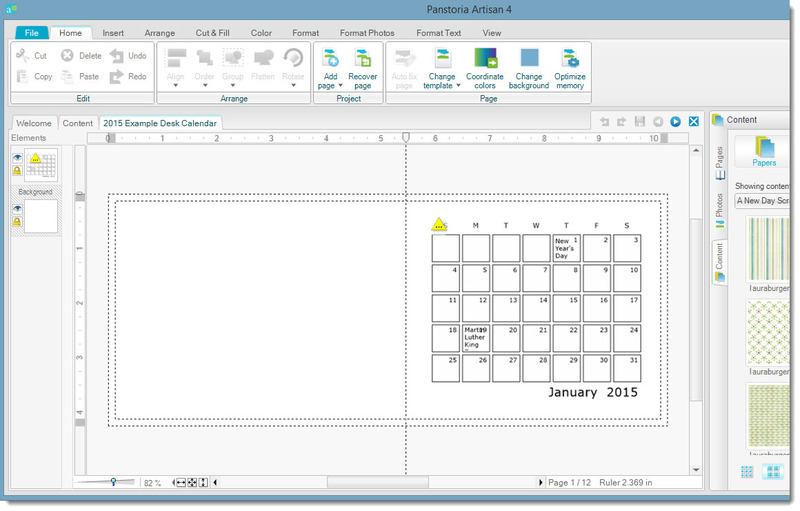 Artisan has some amazing built in calendar tools to do this. Just right click somewhere in the calendar block. Once you've right-clicked, the top three options in the list will give you all of the formatting and editing options you could want for your calendar. I like to change the font to something a little more interesting. Just like in any other project, you have access to use any font you have loaded on your computer. I chose Cherry Cream Soda. 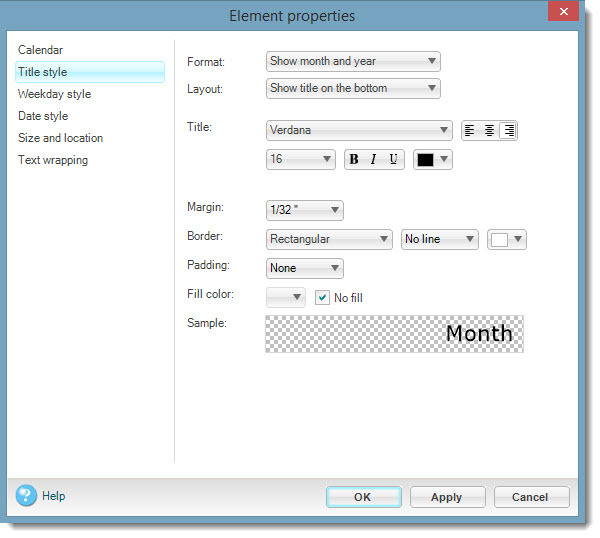 You can hit the Apply button to see your changes before closing the Element Properties window. Go ahead and change fonts for the Weekday style and the Date style, too. It works just the same way. 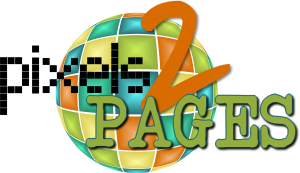 You can change font, size, color, etc. Here's the key: Once you have your calendar block looking the way you want it to, you don't want to have to readjust the elements for each month individually. So you'll want to right click on the calendar block one more time, and select Calendar style, then select Sample Calendar Style. 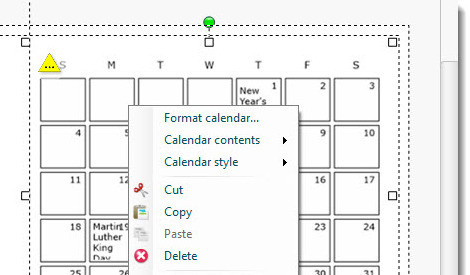 Once you've done that, you can go to each of the following pages in the calendar, right click again, select Calendar Style, and then select Apply Calendar Style. 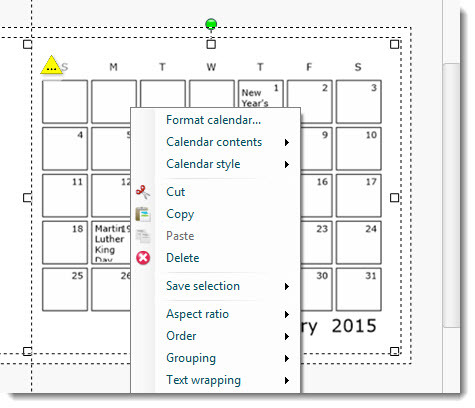 That will format all the rest of the calendar blocks the same way as the one you just changed. As you can see from the photo above, now all you have to do is add backgrounds and photos. You're almost done! You can choose and add papers, embellishments and photos, just as you would for any other project. 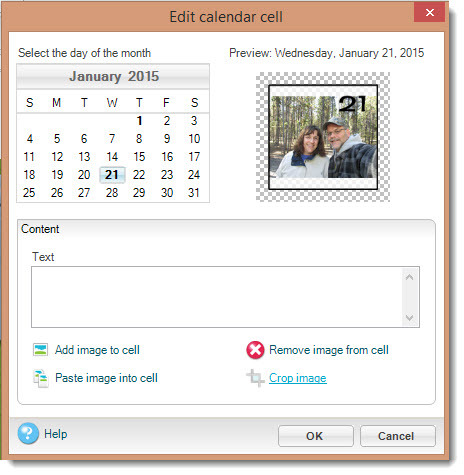 The easiest way to add photos is to go to the Insert tab and select Empty Frame. This adds a blank photo frame on your page that you can shape to any size and orientation you want. 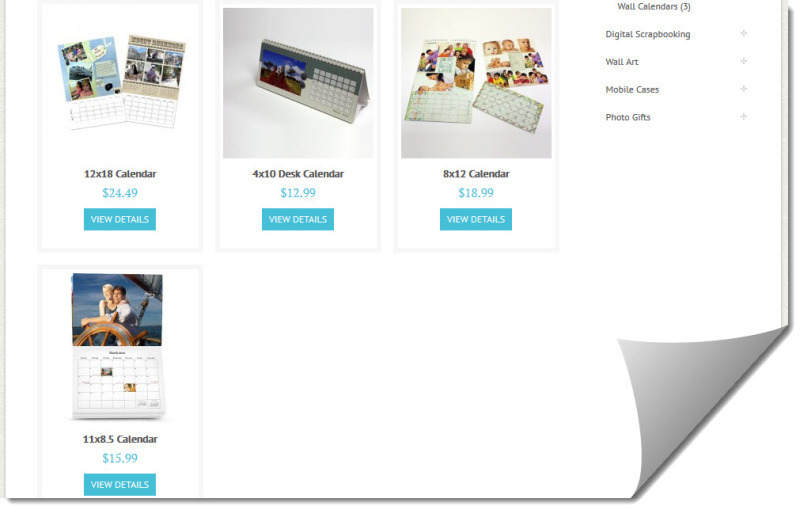 Since your calendar is only 4″ tall, don't go too overboard with this, or your photos may be pretty small. The last place I want to add photos is to individual calendar blocks. This is the best part of the whole project. I find good photos of every member of the family, and then I drag each person's photo onto the calendar date for their birthday. When it's first dropped, it may not fit the way you want it in the calendar block. 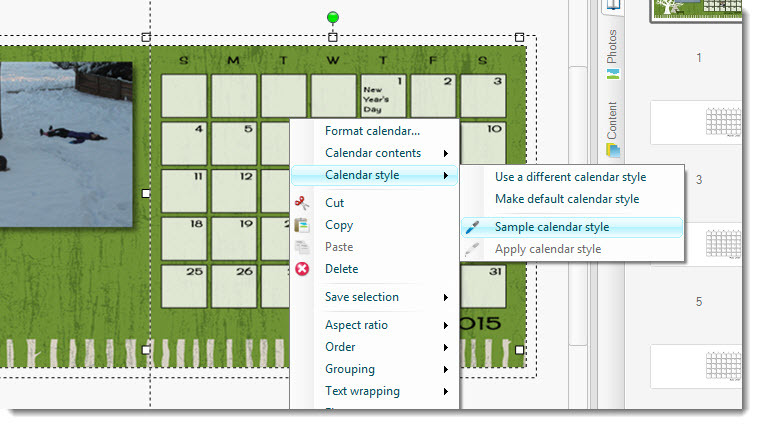 To fix this, right click on the photo in the calendar block, select Calendar Contents, and then Edit Calendar Cells. 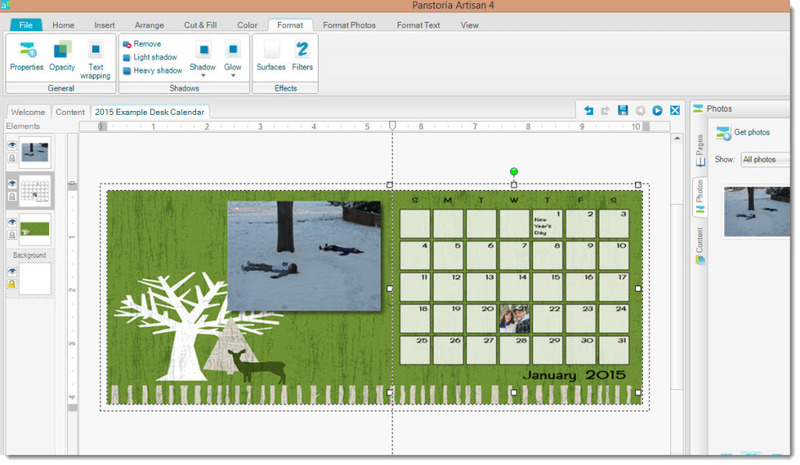 From here, click on Crop Image and crop the picture to fit the way you want in the calendar block. That's really all there is to it. Please let me know if I've left something out or you have questions.